Today is Shaheed Diwas (Martyr’s Day). 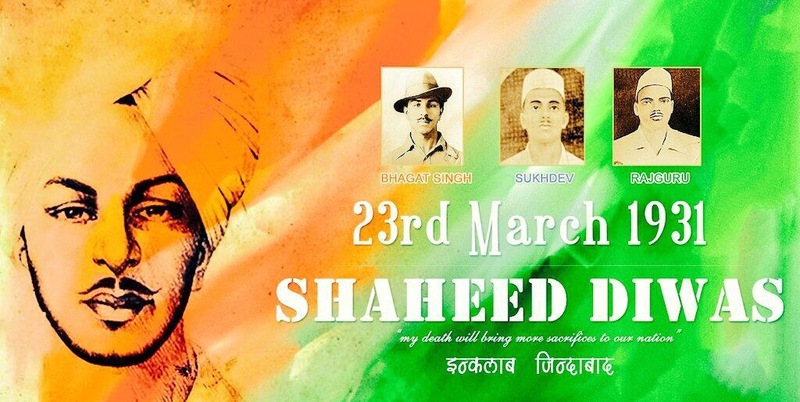 On March 23, 1931 at 7.30pm, India’s freedom fighters, Bhagat Singh, Shivaram Hari Rajguru and Sukhdev Thapar, were hanged by the British Government in Lahore Jail. Their bodies were cremated on the banks of the Sutlej river. Let us pay our heart-felt & grateful respect to the brave sons of India.